Supercars Special | Watchfinder & Co. 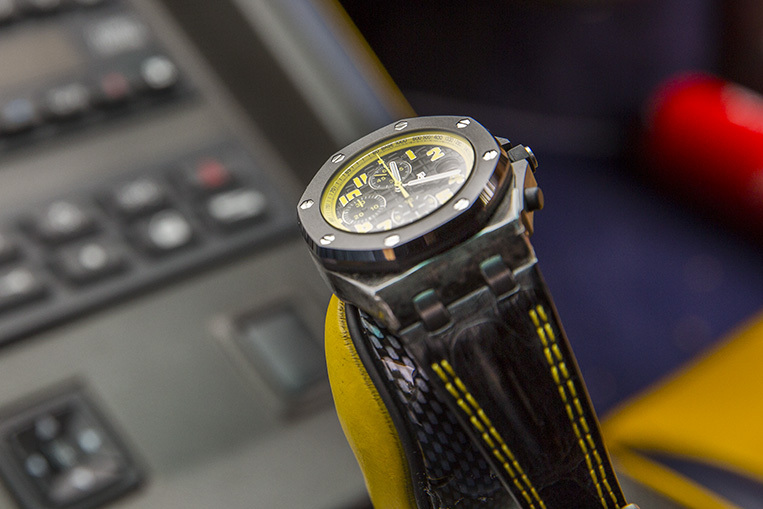 If there’s one thing watch enthusiasts share a love for, it’s the supercar. 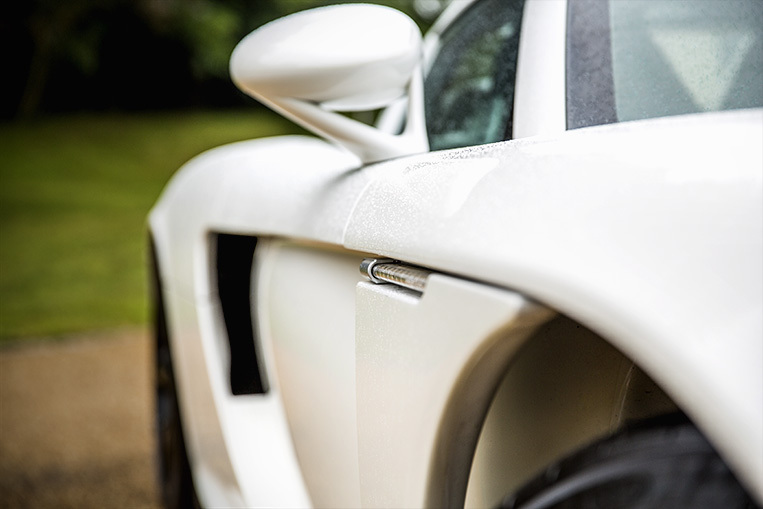 Whether powerful or beautiful, designed to stick to a track or swoop through the French Riviera, a supercar is—like watchmaking—engineering with soul, passion and excitement. We take a visit to the headquarters of VVS sports and prestige automobiles to sample three of recent history’s finest. Seeing a supercar on the road can turn a full-grown adult back into a child, the sight, noise and smells as intoxicating and emotive as any drug. Low slung frame, howling engine and razor-sharp looks are the calling cards of the supercar, and the three here do not disappoint. 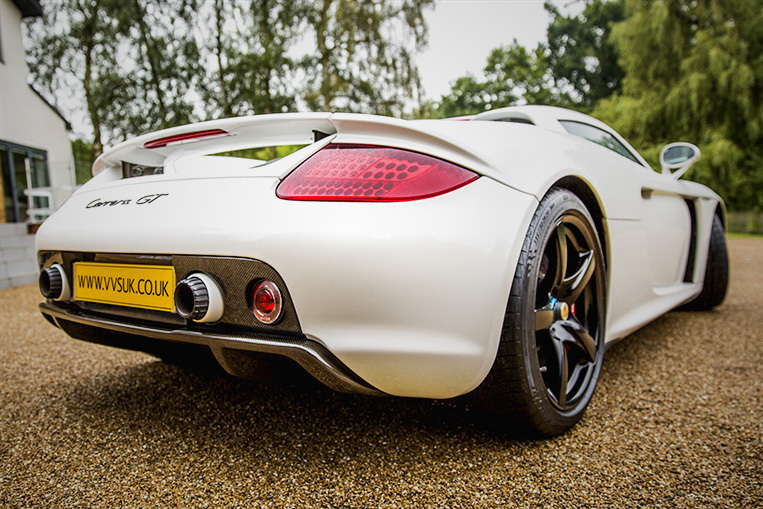 Our first introduction was with Porsche’s Carrera GT, infamous for its knife-edge handling and blistering speed. 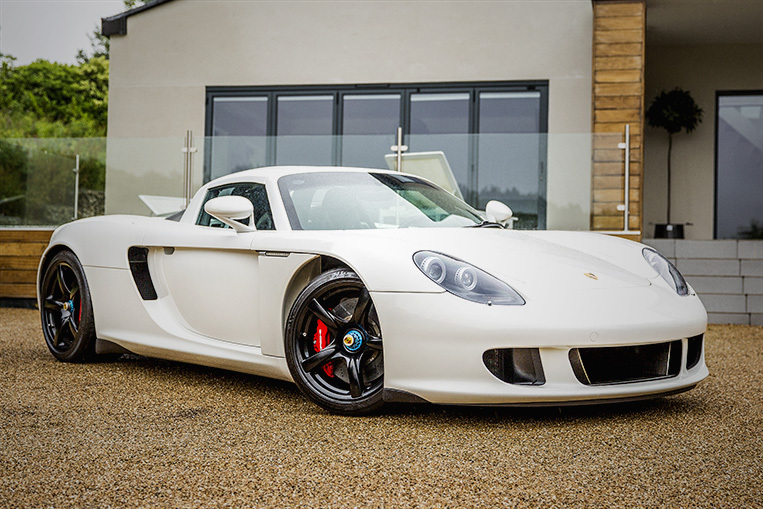 With a 5.7-litre V10 originally developed for the Arrows F1 team and a rev limit of 8,400rpm, the Carrera GT makes a peak power of 612bhp, enough to sling it to sixty in just 3.5 seconds. And being a thoroughbred engine with a stratospheric redline, it screams like an F1 car (used to). As the rev-counter snaps round to its stop, the grumbling idle takes on a hard edge, building to a piercing wail that stands the hairs up on the back of your neck. Leather and wood trim do nothing to make you forget that this is a machine with only one thing in mind: performance. 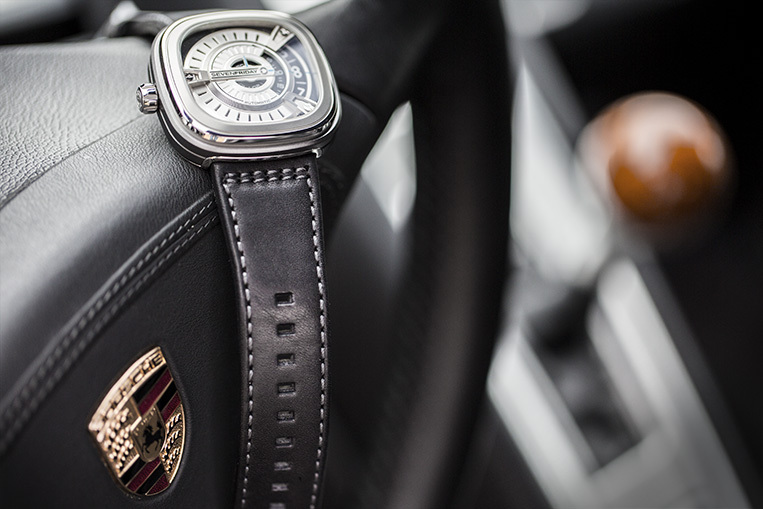 With its vented dial and slick bare-metal parts, SevenFriday’s M1 is at home alongside Porsche’s monster. 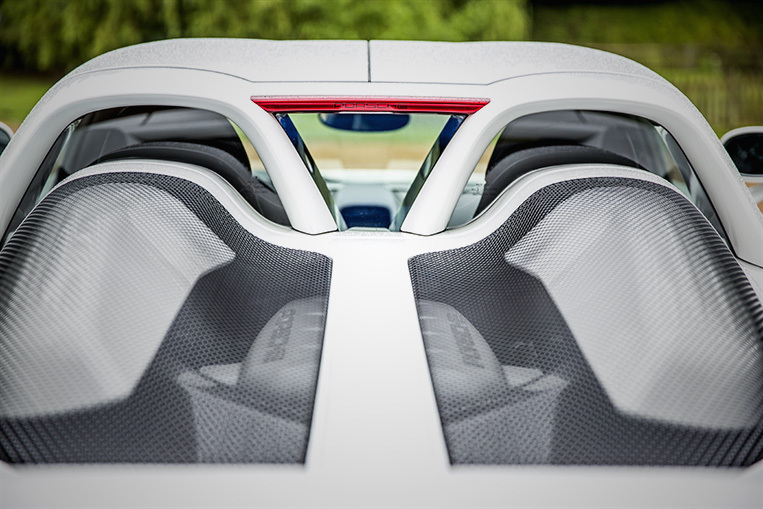 As with the Carrera GT, the M1 reveals its inner workings through slots in the cover of its mid-mounted engine, and even the crown is reminiscent of the ridged cowlings around the exhaust tips of the Porsche. At 93db on full throttle, the Carrera GT is loud. 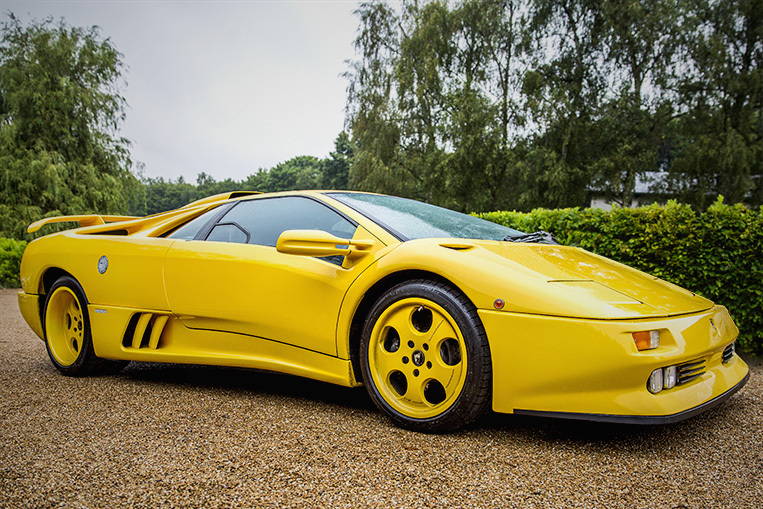 But alongside our next contender, the Lamborghini Diablo SE30 Jota, it’s like a whisper in a storm. 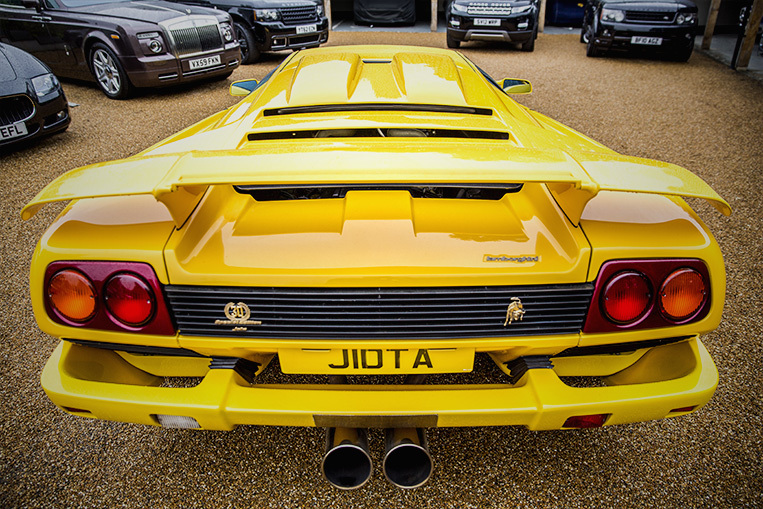 The Jota is a special factory conversion of the Diablo SE30 to full race spec, and only fifteen are thought to have been built (with twenty-eight conversion kits made altogether). On top of the bodywork modifications, the Jota upgrade includes a revised intake plenum, lighter cranks, more aggressive cams and an open exhaust, giving the Bizzarrini V12 595bhp in total. These tweaks also furnished the Jota with the voice of a god—and a furious one at that. Even at idle the V12 is too loud to shout over, and on the limiter it splits eardrums. 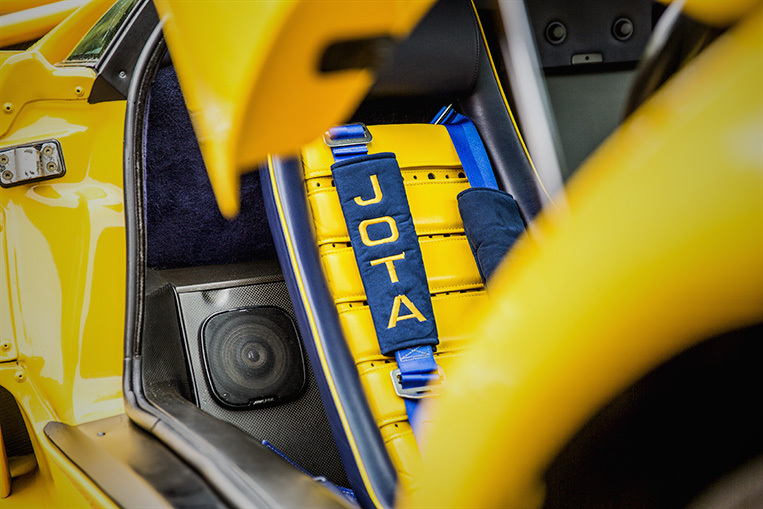 The styling of the Jota is just as arresting as the sound, and in bright Super Fly Yellow with Jota scoops and vents galore, it looks every part the childhood poster pinup. With the 5.7-litre V12 shredding the air and the scissor doors tucked upwards like wings at rest, the Jota brings an involuntary grin to any face. 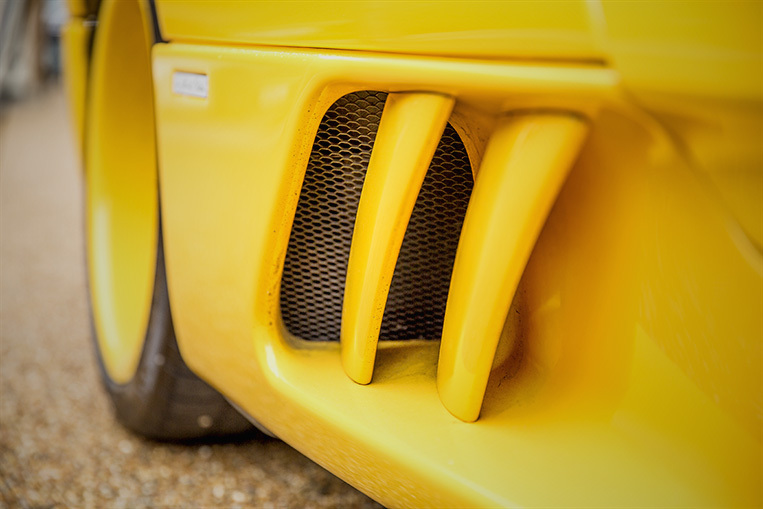 Chunky rubberised switchgear, a slathering of carbon fibre and a penchant for the colour yellow aren’t the only things that bond the Bumblebee and the Diablo Jota. Both house engines that are at the top of their respective classes, desirable to the last screw. Of course, being loud and flashy is equally as important. 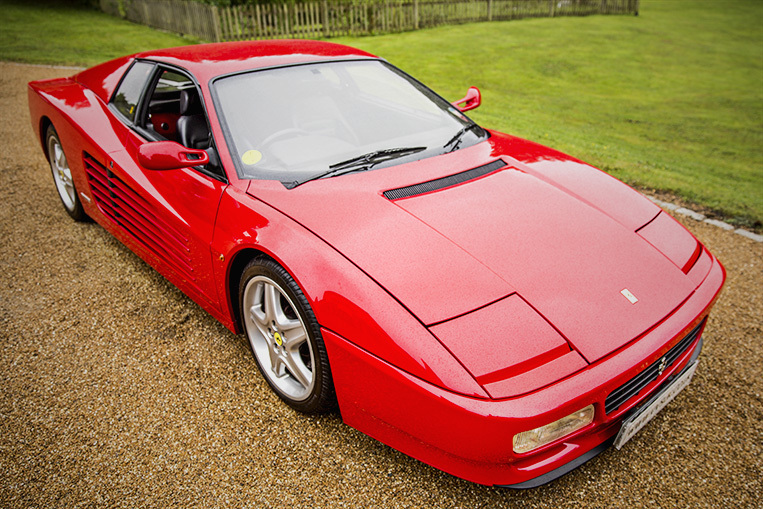 The last car is a picture of eighties flamboyance, and is unmistakable on the road: it’s the Ferrari 512 TR. Actually built in the nineties, the 512 TR is an evolution of the 1984 Testarossa, which famously divided opinions right across the board. 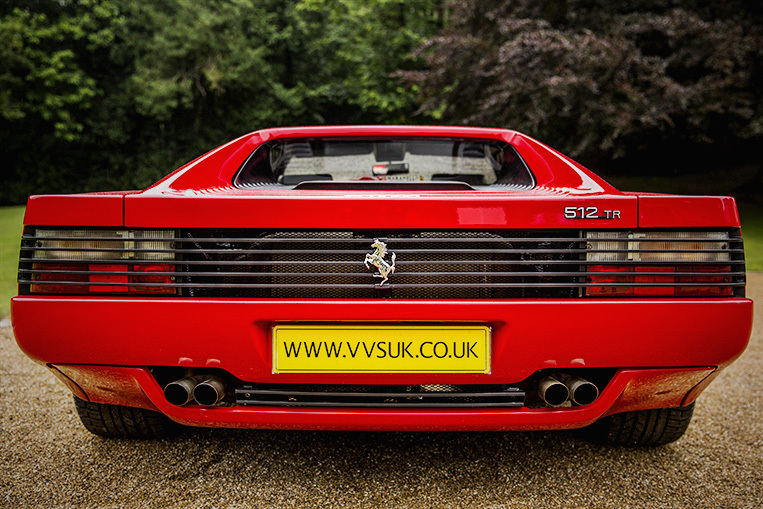 Following on from the seductive curves of the Berlinetta Boxer, the Testarossa introduced the dramatic swooping surfaces and hard angles that made it so polarising. 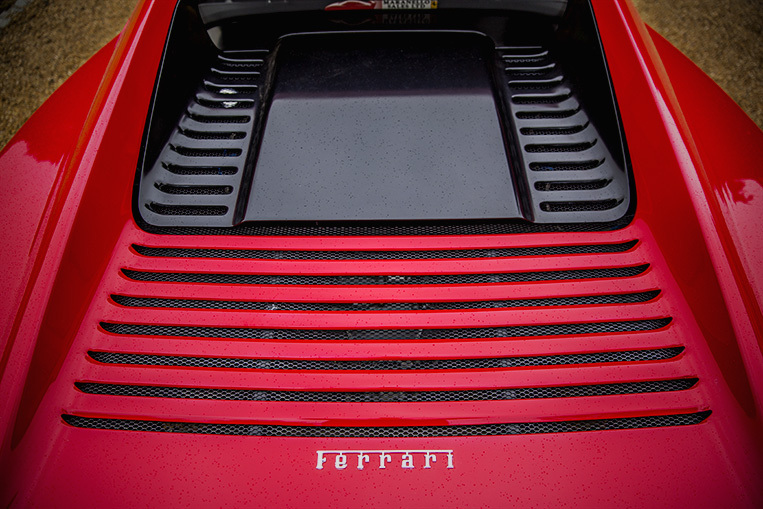 A need for luggage room gave the Testarossa its length, and the relocation of the radiators from the front to the rear—thus necessitating bigger air intakes which in turn needed to be broken into smaller sections to meet safety laws—gave it those distinctive strakes. 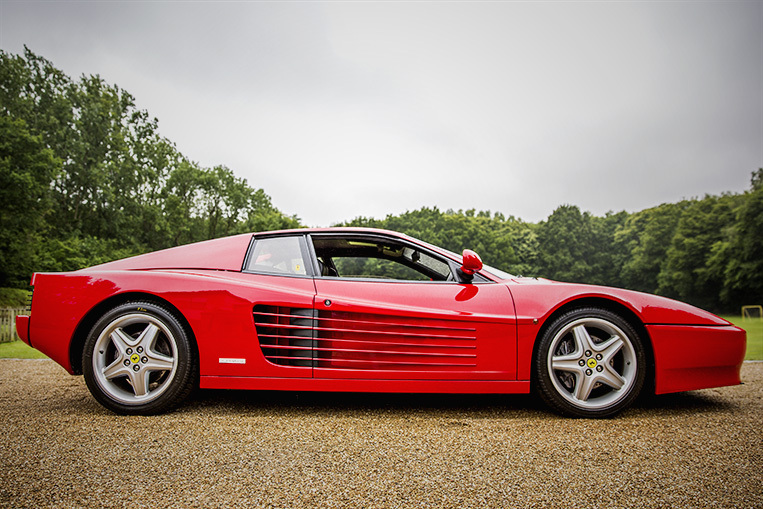 But the Testarossa was flawed, so Ferrari addressed those flaws with the 512 TR. The flat-twelve boxer engine was tuned from 390bhp to 428bhp, the bodywork and interior revised to better integrate with Ferrari’s V8-powered 348 and the gearbox and weight distribution improved for better drive and handling. The result is an aggressive wedge of rosso corsa with a typically cramped Italian cockpit and the most sonorous exhaust note you’ll ever hear. We love it. The ceramic case of the Fastrider Black Shield may be a generation ahead of the 512 TR, but the bold styling certainly isn’t. 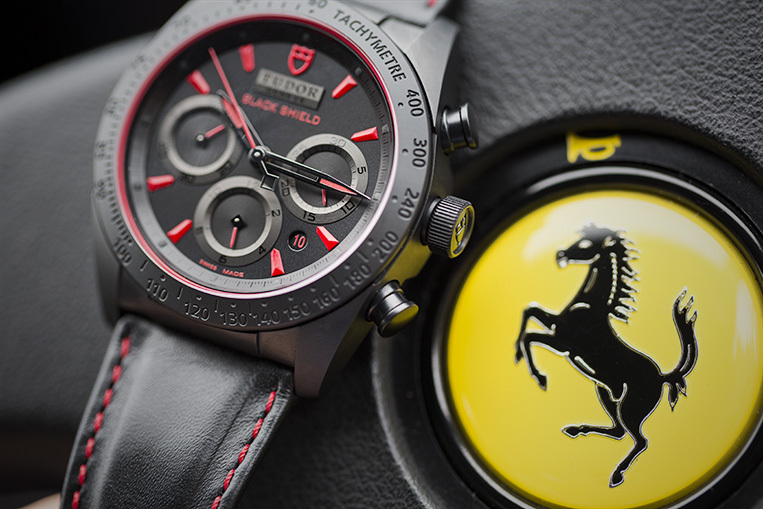 The mix of black and red has been a Ferrari favourite for the better part of a century, and it looks as good on the Tudor today as it did when Enzo Ferrari prepared his first race-cars in the 1920s.